You are now downloading Duplicate Sweeper for Windows. Read the Duplicate Sweeper End User License Agreement (EULA). 1. Depending on the browser you are using, a window should appear like this one. Click "Save". Duplicate Sweeper will then download to your PC. 3. 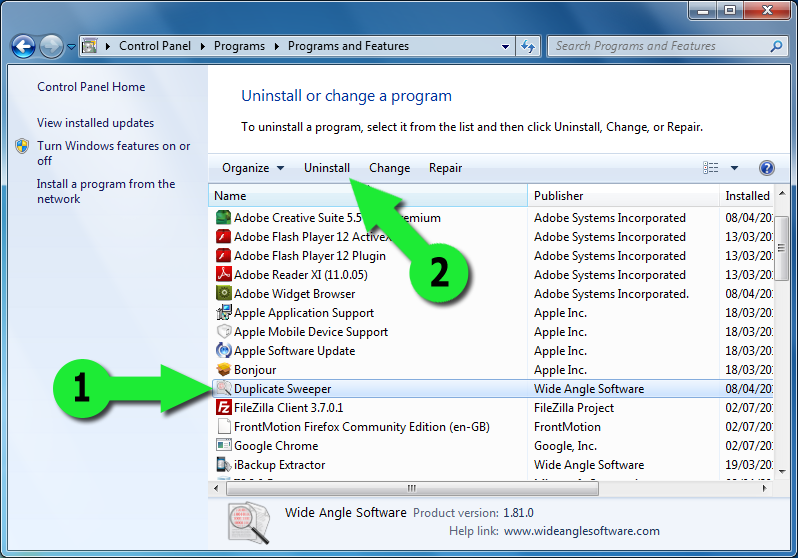 Alternatively, you can start the Duplicate Sweeper installer by double clicking the downloaded installer package. Depending on your web browser, the installer will either have been downloaded to your Desktop or to your Downloads folder. 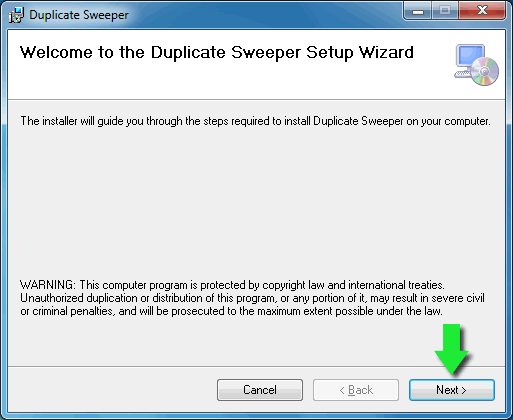 Double click on the Duplicate Sweeper installer to start the installation. 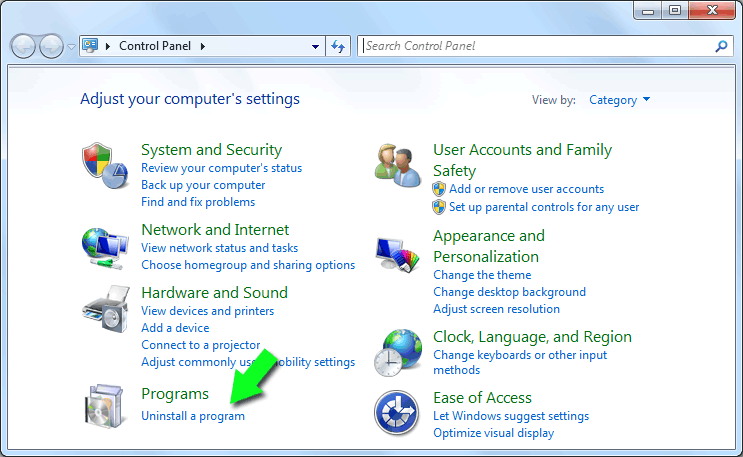 To completely uninstall Duplicate Sweeper from your PC, open your Windows Control panel and Select, "Uninstall a Program". The free download version of Duplicate Sweeper will search for and display duplicate files on your PC or Mac. The full version of Duplicate Sweeper will also clean your computer of duplicate files. Duplicate Sweeper is fully registered when it has been activated with a purchased activation code.